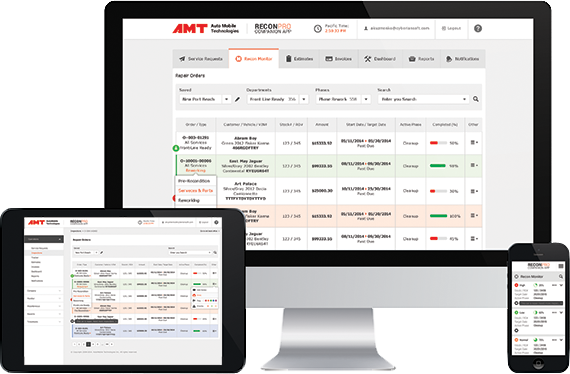 AMT products offer an impressive array of features to solve critical business problems in managing auto reconditioning. 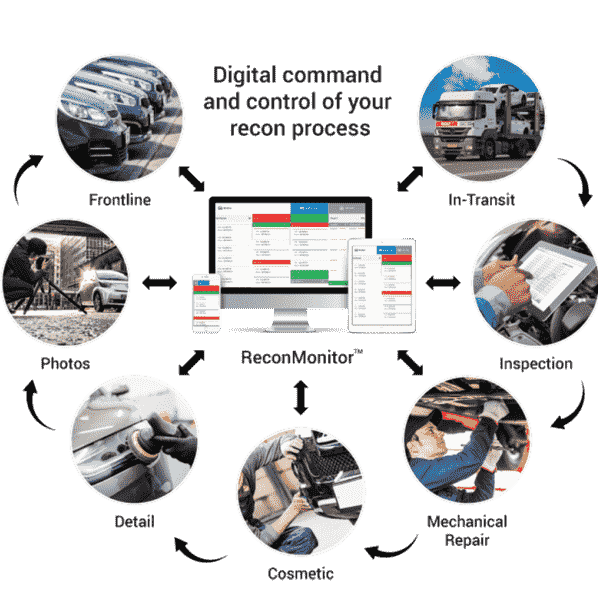 Specially designed mobile software perfectly integrates every aspect of vehicle reconditioning into a convenient application that saves you time and leads to profit growth over days, months, and years. The list below includes some, not nearly all, of the useful features available to our clients. Contact our Client Solutions team to learn how we apply them to help your business. If you need a convenient way to prepare multiple estimates for review at once, share the list with your clients, approve them all at once, or line-by-line, Lot Walk will be a valuable feature both for you and for your Dealership clients. We know of no other software on the market that allows you to perform Lot Walk activities in such a powerful and convenient way. Set, adjust, and control even the most complex pricing models. Create per-panel, per car, bundle services, and align pricing with the type of work, customer, or other variables. Your control includes the ability to program discounts, set limits, and control who is authorized to make changes. Set and adjust commissions by vendor, type of work, customer, and other variables. The software allows you to administer different commission types based on Type of Work, Client, etc. Commission calculations adjust to take into consideration expenses associated with the repair. We can set up tiered commissions that change % based on amount of work done and revenue paid, and we have manager and sales-team commission layers too. A comprehensive console for your wholesale clients that keeps them current on the status of their vehicles and repairs, and lets you stay focused on the business. Your clients no longer need to call you to request copies of invoices, estimates, or other documents – they get access to all of their documents online! The dashboard also lets them submit new work requests to your company, get analytic reports like service drive operations, repair orders analysis, and more. Accept Credit Card payments directly through the software. Allow your customers to submit advance work requests and schedule appointments. These scheduled events become the start of the work order process. ReconPro tracks changes in the appointment status, based on the repair information in the system, and automatically notifies a supervisor, tech or customer of any exceptions or changes. Vendor tracking and work authorizations with remote approvals keep vendors on schedule. Invoicing, payments and commissions all accessed from the software. Send and receive alerts and notifications for any condition or status change. Notify customers of their vehicle’s status, and alert vendors and employees when their work is coming. No more phone calls required to keep everyone informed. Full support for the PDR and Hail repair professional. Everything from facility fees, commission calculations, customizable hail matrixes, and more can be set up quickly, so you can get started right away. If you’re working with F&I contracts, ReconPro can help you initiate a claim, schedule a repair, and maintain all records associated with the Service Contract. Apply Service Contract terms directly into vehicle records to create correct invoicing and improve customer satisfaction. Give your customer online access to information about their vehicle, including historical records of service, and you can control what they see. Satisfaction surveys and 2-way messaging through portal is included. PDR professionals often deal with estimate supplements. ReconPro can be a real help in tracking estimate changes, approvals, updates, and modifications. ReconPro is the only software in its class that supports multiple estimate versions, keeps track of approval status for changed line items, and allows online sharing and approvals by your clients.